K180 is a UK Registered charity (1123294). There is a Board of Trustees: Mr P Vellacott, Mr T Manson, Mr A Dewick and Mr J Taylor. As a charity, Kerygma180 is dependent upon donations as we pursue the call God has given us. Your donations help us to take the love of Jesus to where it's most desperately needed and hardest to find. Your contribution is of immense help, no matter how small you might think it is! The ministry was birthed in 1995 as Martin started taking the gospel on to the streets of West London. 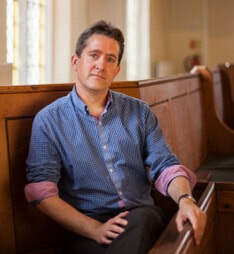 Commissioned by local church leadership, Martin left his banking career in 2001 and dedicated his time to declaring the Good News in London and further afield. Others joined in this venture, and with consequent steady growth came the need to formalise charity status here in England, and Kerygma180 was born. We are grateful to God for all those who stand as partners in this ministry, and we are particularly thankful for the many people who volunteer their time and resources. Not only is K180 enriched by such partnership, but the core team is significantly strengthened! Coming from a banking background, Rev. 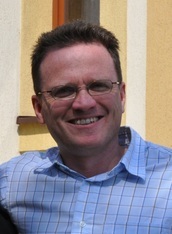 Martin Durham has been the director of Kerygma180 since it was established in May 2001. Martin is presently on the leadership team for the BGEA (Billy Graham Evangelistic Association) Emerging Evangelists Institute and is the European Director of the 'International Leadership Institute'. Martin is ordained as a Baptist Minister (Evangelist) by the Baptist Union of Great Britain. He lives in West London with his wife Rachel and has two daughters. He is passionate about the proclamation of the gospel and to see young leaders grow and develop in their ministry. 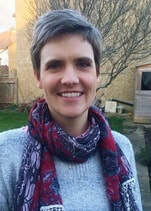 Penny joined the K180 team in the role of Mission Enabler in February 2016. She has worked in a variety of roles in the past including administrative positions, and most recently supporting children with special educational needs as a teaching assistant in a local special school. She is an active member of her church, teaching regularly in one of the children’s groups, and is passionate about the gospel, God’s word and prayer. Penny is married to Andrew, and they have 4 grown up children. We are hugely thankful for our trustees and the time, energy and giftings they commit to the oversight of the ministry of K180 as we seek to move forward with the vision God has given. Paul has been a trustee since the founding of K180. He is married to Vicky and they have 3 children and 5 grandchildren. They have, of more recent years, retired to Winchester where they are active in their local church and in serving the community. They love sailing, walking and spending time with their family. Paul had a career as a Chartered Electrical Engineer in senior management roles in the railway industry. Tim has been a trustee of K180 since it was founded. His full-time role, since 2012, is Senior Pastor at Gunnersbury Baptist Church. Tim grew up in West London and originally trained and practiced as an architect. However, following completion of his Bachelor’s degree in Pastoral & Theological Studies at Oak Hill College in 2008, he became Assistant Pastor at Christ Church, Dunstable before moving back to West London to take up his current role. Tim is married to Vikki and they have four children. Andrew became a trustee with K180 in 2015. Trained as a Chartered Quantity Surveyor, his full-time work is as Managing Director of EMMAUS Consulting. 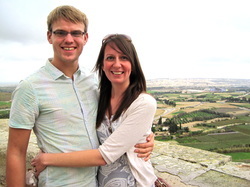 Andrew is actively involved as a member of his local West London church, serving as a deacon and leading worship. He has travelled on mission with K180 and joins our local Friday evening outreach as he is able. Andrew is married to Penny and they have four grown-up children. Jeremy became a trustee in 2019, he is a Chartered Engineer with Engineering and Management degrees, working in the construction industry to deliver large international projects. Jeremy has lived and worked in numerous overseas locations including Africa, Asia, 'mainland' Europe and Australia, but now lives in London with his wife Janet and their 3 children. Jeremy is an active member of his local church, serves on the governing body of a local secondary school and plays competitive tennis. The International Leadership Institute (ILI) changes history by accelerating the spread of the life-transforming power of the Gospel through leaders of leaders empowered by the Holy Spirit. ILI trains and mobilizes more than 10,000 leaders each year with the eight core values of the most effective Christian leaders. ILI alumni serve on the frontlines in nearly every sector of society. They live in more than 95 nations and speak more than 200 languages. They are highly committed to impact their communities and nations. They represent the "best of the best" among servant leaders who are bringing about the Kingdom of God on earth. History Makers , the young leaders stream of ILI, trains and mobilizes leaders of leaders to reach the nations with the Gospel of Jesus Christ. Qualified emerging Christian leaders are strategically selected and equipped to change history by accelerating the spread of the Gospel around the world. Five strategies govern the HM movement around the world. Working diligently by the power of the Holy Spirit with PRAY; EQUIPPING of leaders; MENTORING selected leaders for national and international impact; NETWORKING with leaders for shared expertise and encouragement; and PARTNERING with individuals and organizations where appropriate. Ontheredbox is a network of teams whose aim is to proclaim open air the message of Christ in a simple, creative, consistent, and anointed way; calling people to repentance toward God and faith in Jesus Christ. Currently, Christians from about 30 evangelical churches in the Madrid area participate in the evangelism ministry. Jacob and his team preach, give testimonies, and talk personally with the listeners in the street six days a week throughout the year. There are approximately 100 volunteers that are presently being trained as evangelists, and there are numerous Ontheredbox teams around the world.